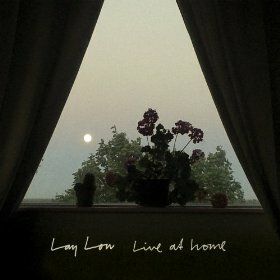 Once “Mojo Love” begins on Live at Home, the new record from Lay Low, the realization of brilliancy is immediate. Haunting yet romantically magical songs decorate the atmosphere like stars that hang in the evening sky on a clear night. Captivating, smoky and melodic tunes at the hands of Icelandic singer/songwriter Lay Low, also known as Lovísa, shine audaciously. This live release is folk blues music decorated by her vintage, soulful voice. The gloomy rumblings of stripped-down guitar help hide her unflinching, emotive strength of lyrics that feel like whispered secrets the binder of a journal might hold. Bare, yet wondrously lush, the songs feel cinematic and the guitar limitless and valiant, where chords runs feel sly and riffs, like a flirty suggestion. The rare charisma of her voice is hypnotic and spiritual. The tinge of guitar and bass on “Why Do I Worry?” sounds like the soundtrack to a lone female western drama, while the guitar solo between lyrics has a ’60s mod cinematic appeal. She has released four studio albums and in 2006 Lovísa won two Icelandic Music Awards and the title for being the most popular music artist in Iceland for that year.